Surgery can seem stressful for you and your pet. We here at Village Veterinary do our absolute best to ensure that your pet has a comfortable stay with us while at the hospital for surgical procedures. 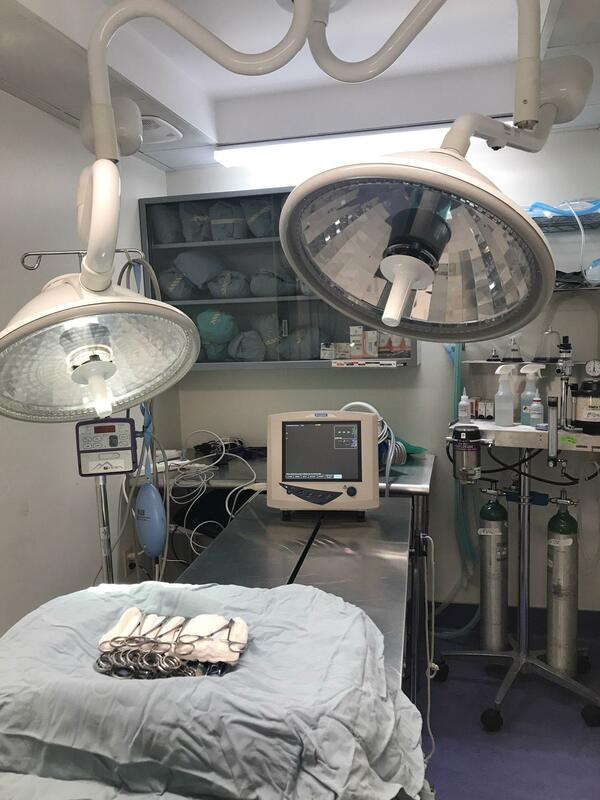 With top of the line monitoring equipment, your pets blood pressure, temperature, oxygen saturation, heart (ECG) are constantly monitored by well trained, experienced technicians during all anesthetized operations. We pride ourselves on providing a low stress environment for your animal from patient intake to discharge. Our doctors have many years of surgical experience and can discuss with you the options for surgery at our facility. For more information about what to expect, please go to "Your pets scheduled procedure" tab from this drop down menu.